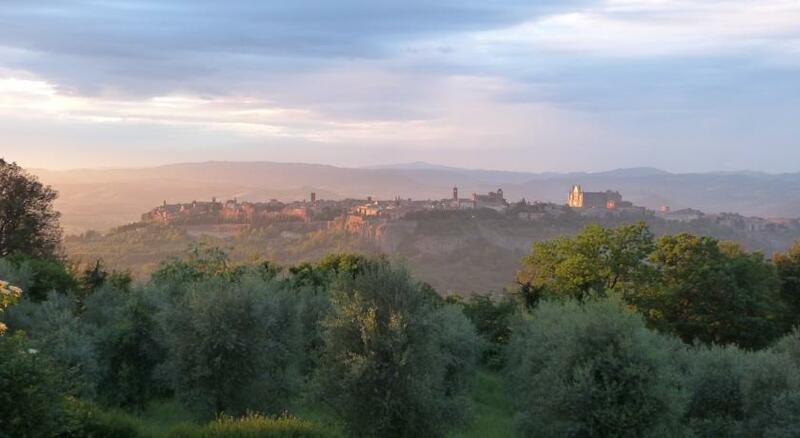 Pietra Campana is a very highly regarded agriturismo farm stay B&B with a stunning setting; a 17th-century hillside manor farmhouse overlooking the town of Orvieto, Umbria, Italy. They have a selection of modern comfortable suites and apartments, each having a lounge area with flat screen TV and DVD players and the apartments having a full kitchen. All the accommodation options, self catering included, come with a great Italian breakfast buffet including some of their own home made organic cakes and jams. There is free WiFi throughout, and small pets can come and stay but you’re asked to let them know before you arrive. The farmhouse is surrounded by acres of olive groves which you are welcome to wander around, and from where you can also enjoy more of the lovely views. The friendly owners make their own olive oil at the agriturismo, as well as various jam and soaps, all of which you’re welcome to sample and of course to buy to take home if you so wish.